New pictures have been revealed of the brand-new seven-seater Ford S-MAX, a vehicle that's been in the pipeline for some time and has finally been given an unveiling ahead of it's debut at the Paris Motor Show. Among the fledgling features in the C-MAX is a swish new design, which is highlighted by the shiny chrome grille - used in the new Mondeo and Focus - that gives the vehicle a more premium look than it's predecessors. That chunky exterior looks to have been trimmed down, and the S-MAX will hope to offer a more sleek alternative to it's undoubtedly bulkier cousins. Adaptive Steering functionality should allow the S-MAX to continue to provide the smoothest ride in the class. Four wheel drive will also be on offer for those who spend greater periods on rougher terrain. In terms of the interior, Ford have aimed for a practical design that is epitomised by new technology that will allow the boot to be opened via sweeping your foot under the rear bumper. It'll make that weekly shop unloading just that little more bearable. Power-folding rear seats won't have raised too many eyebrows, but they do offer more practicality and usability to the S-MAX. Although, a electrically adjustable steering wheel will debut for the first time in the class, so there are some surprises. Heated and cooled seats also included. 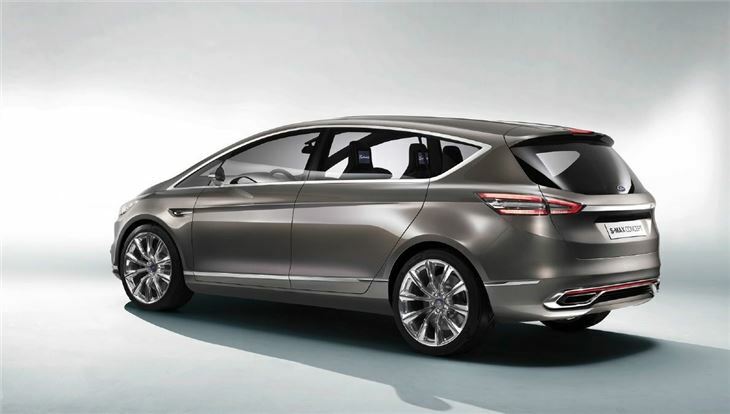 The S-MAX will be packing the 188bhp 2.0-litre diesel engine alongside a six-speed manual gearbox. Ford aren't stopping there though, and customers will also be able to choose from 148bhp and 177bhp 2.0-litre models available. Economy is a big thing for every manufacturer now, and being one of the pioneers of the movement Ford will be offering a very sensible 1.5-litre EcoBoost with 158bhp. The S-MAX will go on sale next summer, with an official release date still unconfirmed.